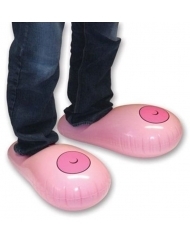 One of the best novelty slippers i have ever bought from anywhere, enjoying wearing it. 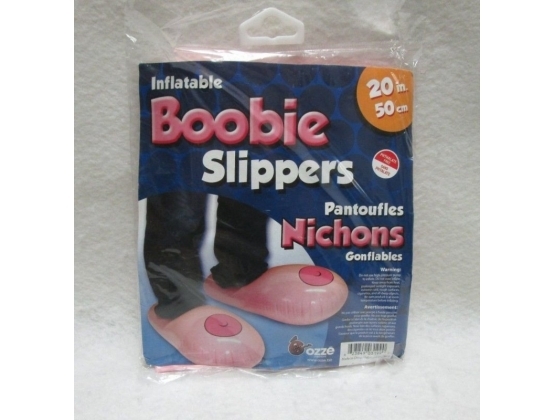 Your feet will have all the fun when slipping into these inflatable boobies. 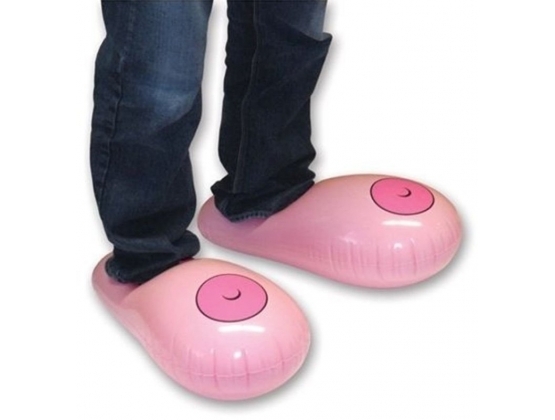 Relax in the comfort of your home or take them out to your next staff part a great novelty gift. 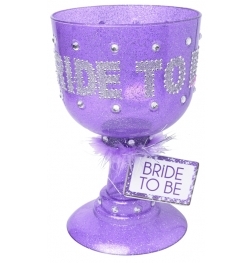 Ozze Creations is the adult novelty and gift company that put humor into your lives in an ohh so naughty way. Life is way too short to not go about having a bit of laughter and if one cannot laugh at themselves then life is being taken way too seriously. Check out the amazing range of Inflatable Peckers, Pecker Hats, Adult Board Games and just plain naughty fun stuff.